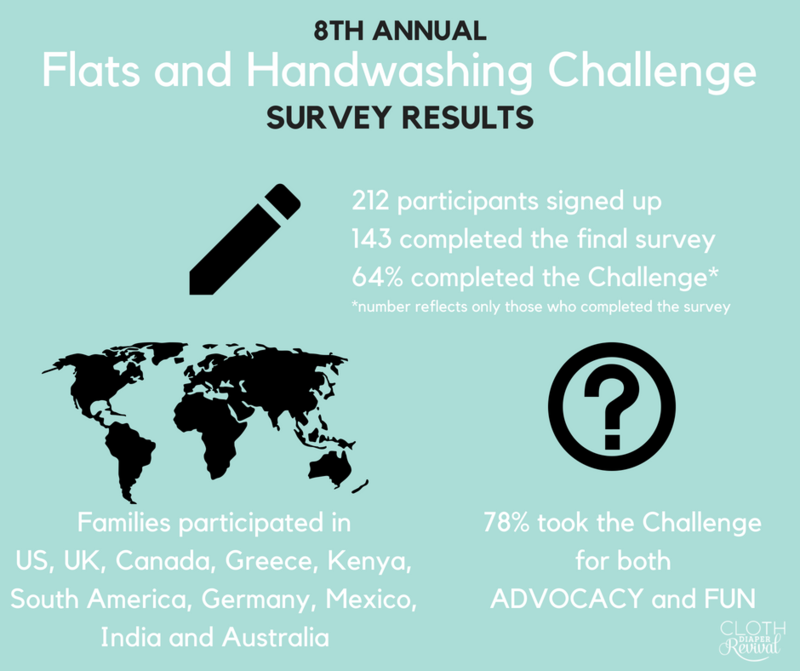 Just a few short months ago we completed the 8th Annual Flats and Handwashing Challenge. I have been busy with a new baby, a new house and getting used to being a mama of 3. I finally found that magical spot today where everyone napped at once! Hallelujah! To celebrate I tallied up the final survey results and can't wait to share them with you! This year we had 212 participants sign up for the Challenge. Of those, 143 completed the survey (about 67%). 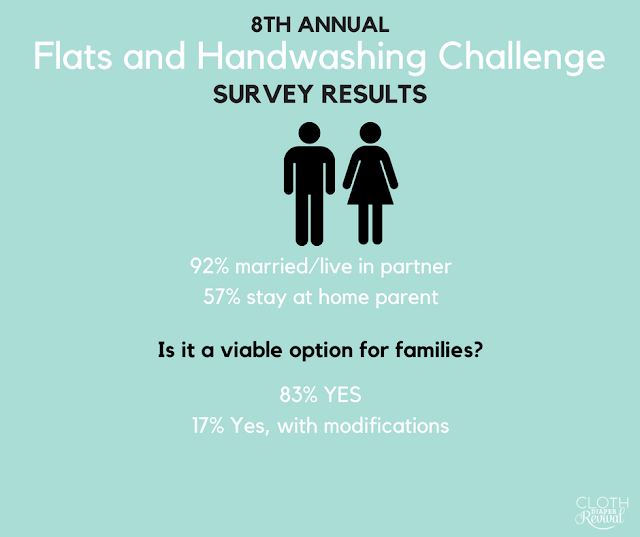 And then 64% of those that completed the survey said they completed the Challenge. The information presented in the graphics below represents the answers from the survey. If you're new to the Flats and Handwashing Challenge and would like to learn more, please start here. Thank you for following along with this year's Challenge! 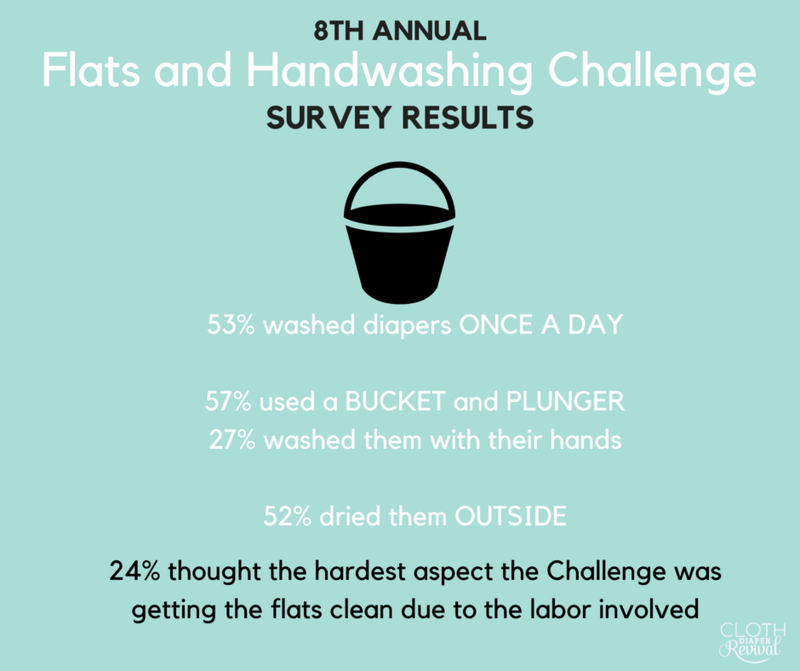 If you missed the Challenge or were unable to participate, we'd love for you to join us in 2019 for the 9th Annual Flats and Handwashing Challenge taking place in the spring. 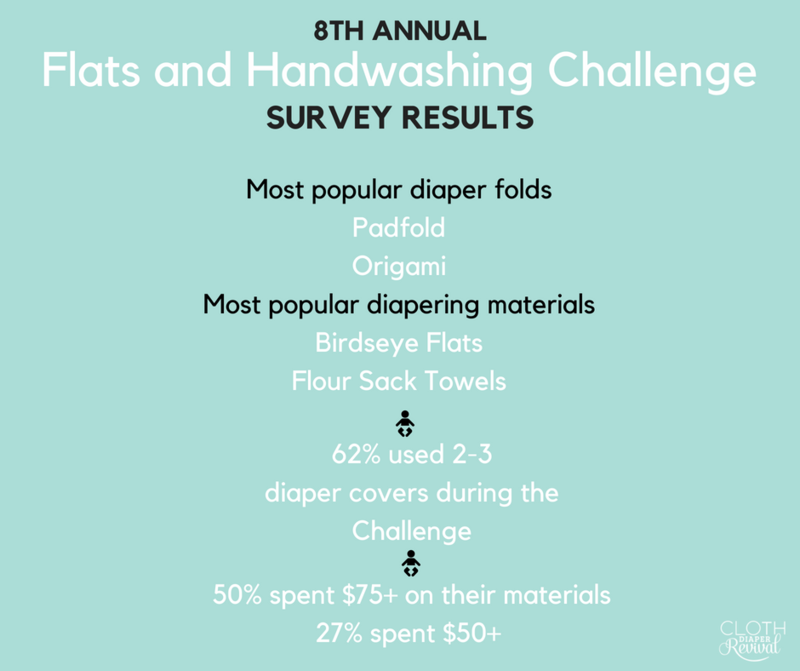 If flat diapers or handwashing is something you're interested in learning more about, please join our Facebook group!